Are you looking forward to a leak free metal roofing system?. 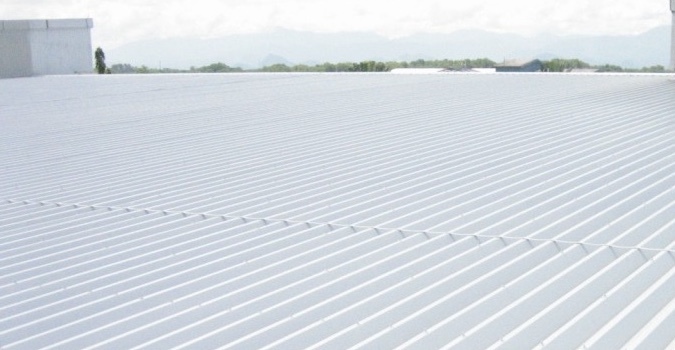 You can add years to your commercial metal roof’s lifespan by taking advantage of our long lasting, money saving metal roof repair solutions. You have more options than just forking over thousands of dollars for a total roof replacement or making specific repairs over and over again. Fixing leaks that seem to happen time and time again. Fixing punctures in your roof, gaps between seams that show up and improper original installation issues. Replacing and fixing metal panels that get displaced by high wind conditions – which also is rooted in improper installation. Water ponding issues due to a metal roof that doesn’t have the proper slope. Screws and fasteners that deteriorate, allowing moisture into your building. You can fix all of these issues and keep them from recurring with several metal roof repair options we have available. Your metal roof’s lifespan cab be increased by decades and simultaneously fix all of these problems by utilizing our services. We warrant everything we do and have the track record along with successful project history to back up our claims. Every commercial metal roof property owner or manager can take advantage of our cost-effective, simple solutions to these problems. Also, through our material suppliers and on the job experience, our crew members are trained with state-of-the-art methods. Extremely Durable – One great feature of metal roofing systems are their long life cycles. At times, they can last longer than the structure itself and usually come with 30 to 50 year warranties. They have easier and less time consuming installation procedures due to their light weight compared to other types of roofing. This can eliminate the need to taer off and dispose of the existing roof, as they can be installed over the top of them. They Resist Water Well – Metal roofs hold up well to Mother Nature because of their sturdy materials. No matter the type of weather related element – heavy rain, high winds or even insect infestations, they hold up well. If they are installed correctly and galvanized or coated well, they are very rust resistant and rot-proof. They are Fire Resistant – If they aren’t installed over materials that are flammable, they will save you money on your insurance premiums because they are non-combustible. And, despite misconceptions due to being made of metal materials, they are no more prone to lightning strikes than any other commercial roofing material. Installing a lightning rod would be a wise choice if this concerns you. Extremely Watertight – They seal out moisture well and work against snow buildup or water ponding due to their slick surface. Energy Efficiency – You’ll also save money on your utility bills due to the way a properly installed metal roof reflects the sun’s heat and UV rays. There is also a gap between the roofing structure and the metal panels, providing ventilation and help to redirect heat back in to your building during colder months. 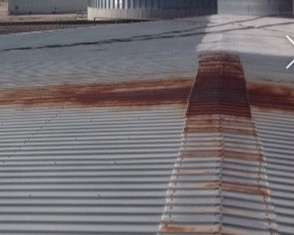 Metal roofing systems are not perfect, but even their inherent faults can be avoided. They Typically Cost More – Metal roofing systems are not inexpensive, but because of their durability, over the time you own or manage your building, you’ll realize an outstanding return on your investment. At Times they Can Be Loud – If not insulated properly, during heavy rains or hail it can sound like someone drumming on your roof. There are options available with insulation that will minimize this, however. Denting Can Occur – There are products and coatings that can minimize hail damage, or even footprints on the roof, by providing an extra textured layer of protection. Can be Slick to Walk On – You need to be careful if you go up on a metal roof because they can be slick, even with the benefits that provides to the roof itself. However, there are textured materials that can not only mitigate the slickness but also make the roof more architecturally pleasing and increasing curb appeal. Taurus Elite Commercial Roof Systems 512-332-4422 provides commercial roofing services to Austin, Texas and the surrounding area, including Oak Hill. This includes commercial metal roof repair, commercial metal roof restoration, commercial metal roof replacement and commercial metal roof installation. We have been providing professional commercial roofing services to the area for over 20 years.